My oldest son Blake is my lucky charm. He's not perfect, and I can't pretend that we don't have our moments, but he is this really interesting little person who just grows more each day. 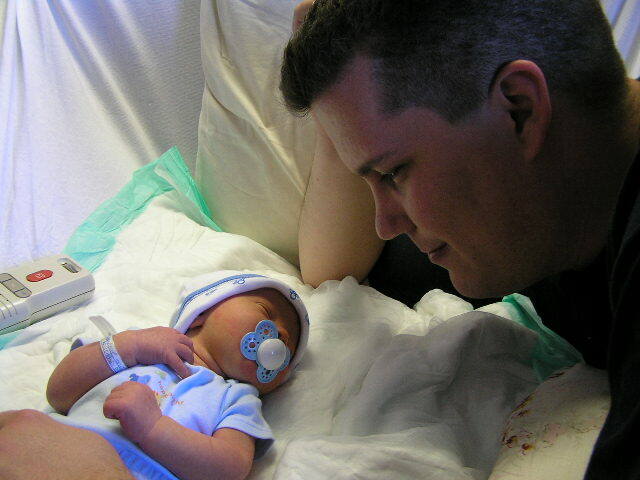 Today he is seven years old. I love all of my kids, of course, but something about Blake has just fascinated me ever since the day he was born. Before he was mobile enough to make this impossible, I used to spend hours just watching him. I'm trying not to push Blake in any direction, but it's incredible to me to see the ways that he is so much like me. He loves to read. He loves monsters. He loves being able to tell jokes and make people laugh. He hates when things don't go according to plan. He wants to know how things work, and he is intrigued by gadgets and things that light up. He likes to be surrounded by people. He's already got a lanky body that is going to make most sports an interesting challenge for him. Ask him what he wants to do, and watching a movie will always be on the short list. The things that give him joy are the same things that give me joy, and that gives me an entirely new kind of joy. 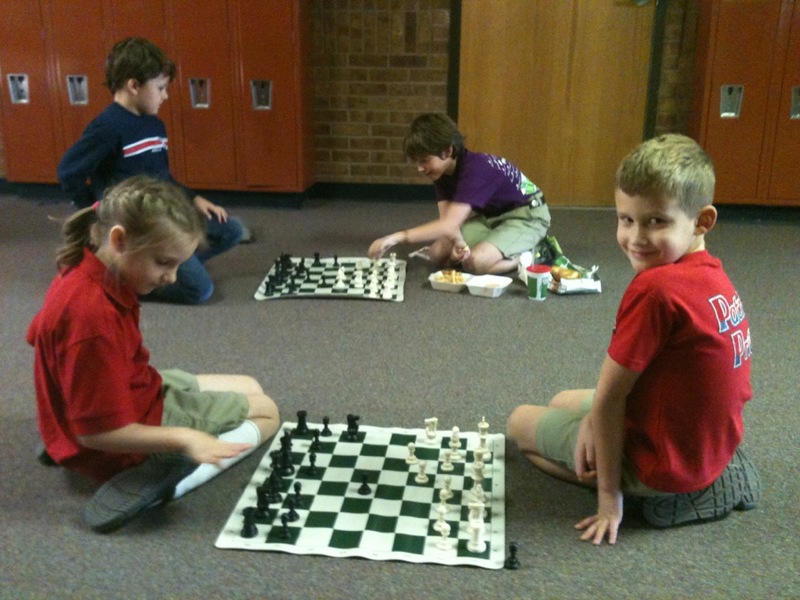 Our kids are so, so happy at their new school, All Saints Episcopal. On October 14th, there was a special Grandparents Day chapel service, and Blake was one of a small handful of students who was selected to read something they'd written about their grandparents to the whole assembly. I apologize for the shakiness of the video, but I wanted to share it with you anyway. We practiced and practiced this beforehand, and he was brimming with confidence. Then he got up there in front of that huge crowd, and had to be the first one to read, and you can tell that his nerves kicked in. He did such a great job, and I was so proud of him. Courtney and my mom were sitting on either side of me, and they were both bursting with pride, too. 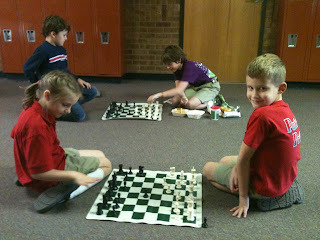 I was especially touched that he still talks about my dad in the present tense: "My Papa teaches me how to play chess." Happy Birthday, Blake. I hope the year ahead is your best one yet. Maybe I'll help you set up your own blog to document it. I couldn't agree more! He's an amazing kid, and I marveled at the similarities between you guys at Homecoming! Hope he had a great birthday! Kaden and Colin sometimes still talk about their Grandfather in present tense. It is nice :-). You and your son make me smile!! So wonderful! He is all grown up. It's hard to believe! Happy Birthday! You really know how to make a Noni very happy! here's a few more exclamation points for this comment. i'm not sure i've used enough yet... !!!!!!!!!!!!!!!!!!!!!!!!!!!!!!!!!!!!!!!!!!!!!!!!!!!!!!!!!!!!!!!!!!!!!!!!!!!!!!!!!!!!!!!!!!!!!!!!!!!!!!!!!!!!!!!!!!!!!!!!!!!!!!!!!!!!!!! Thank you for sharing your heart! You are such an amazing dad & Blake is such an intelligent & entertaining young man! Happy birthday to him & your dad is smiling down extra big today! A few weeks ago, he actually asked me if he would have curly hair like mine when he gets older. It's possible, because mine was straight as a board until junior high school. I told him that if he's lucky and eats his vegetables, it could happen.